There’s really nothing I love more than a clean house with crisp sheets, vacuumed carpet and a freshly scrubbed kitchen. 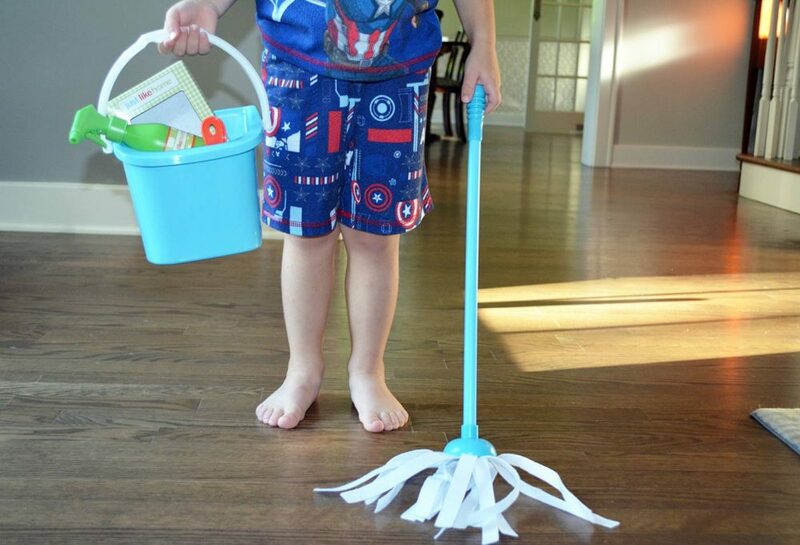 While we do have a cleaning lady come twice a month to do more of a deep clean of our home, I’ve found that, especially Dylan arrived and I launched my second business, I need to do a lot more maintenance cleaning than I used to. Thankfully, my men are a lot of help! At our house we don’t have “chores,” but we all do our part and we work together as a team to keep our house clean and create good habits for everyone. Jackson always knows that he puts his clothes in the hamper before bath and when he gets dressed in the morning. 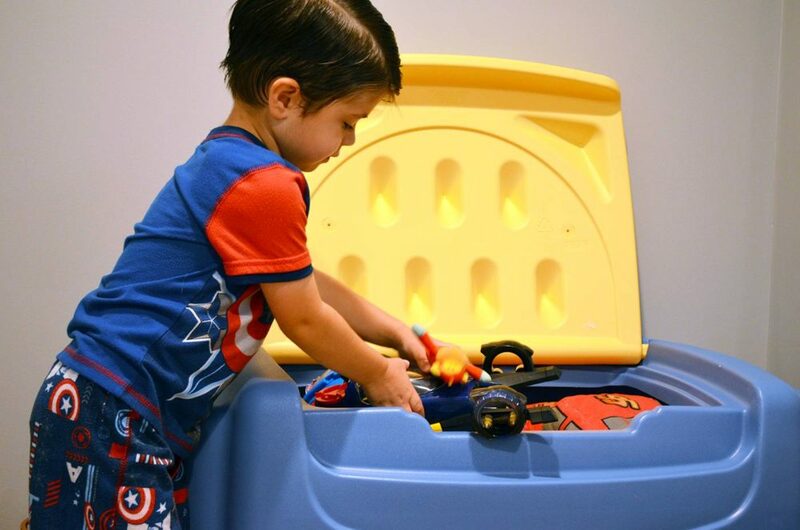 He is also great at putting his toys in the toy box before bed. I’ve even caught him putting Dylan’s toys away just to be sweet and helpful, and it makes me happy that he even thinks to do little things like that. 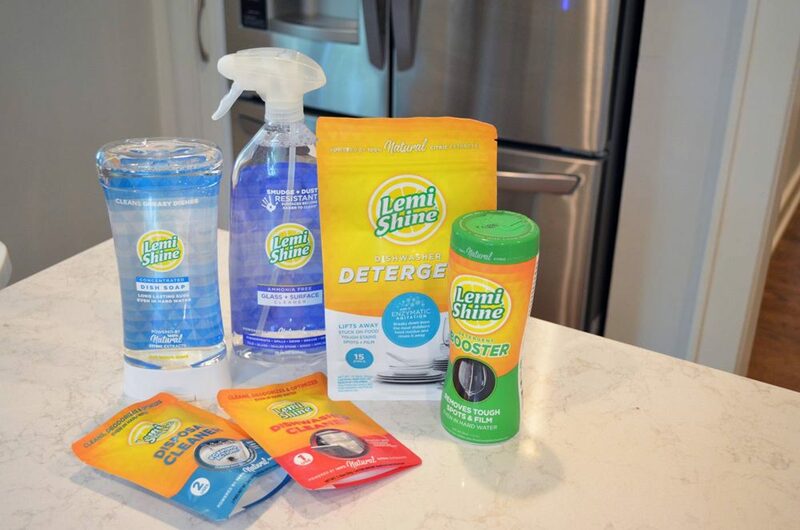 Needless to say, we’re sort of clean freaks, so we were really excited to partner with Lemi Shine to learn more about their products! I feel good about using their products because the company’s goal is to have both powerful and safe products. Their products are non-toxic, biodegradable and are powered by 100% citric extracts. 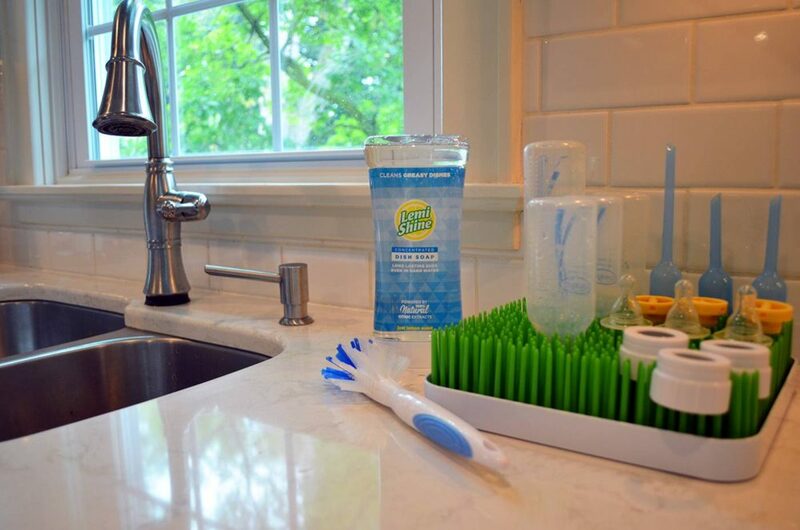 I hand wash all of our bottles and baby dishes, spoons and such a few times a day, so I really liked using the Lemi Shine Concentrated Dish Soap. This is where those powerful and safe ingredients really made a big difference for me. I like that the soap really foamed up and I didn’t need much of it at all. What’s also cool about this one is the packaging. You can click the lid open, flip it back in place and you just leave it on your counter while you’re using it. It doesn’t leak and you can just add more to your sink or sponge, as needed! As part of my “maintenance cleaning,” I clean our bathrooms weekly and I clean the kitchen nearly every day (at least a little!). I felt that the Lemi Shine Shower & Tile Cleaner was great for our bathrooms. I especially want to make sure that the boys’ tub is clean and using this product made it feel clean without that “chemical clean” smell. One thing we’ve also tried to get better at is regularly cleaning things like our dishwasher, garbage disposal and washing machine. Lemi Shine makes cleaners for all of these appliances and I plan to use them on a monthly basis. We’ve already used the Lemi Shine Dishwasher Cleaner and it really made such a difference in the cleanliness of our dishes. The Lemi Shine Disposal Cleaner was great, as well. From what I could tell after using them, these really made the appliances work better and smell so clean! 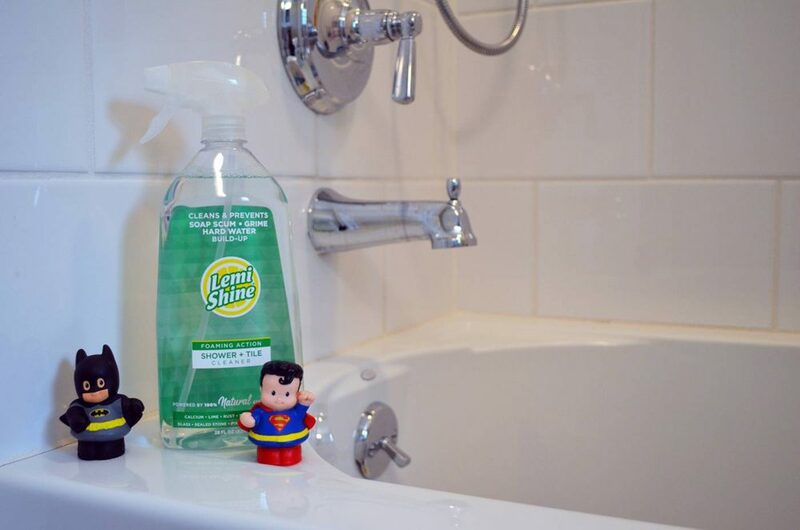 So, if you’re a clean freak, the Lemi Shine products are definitely worth trying. They offer a great set of coupons to get you started and you can check their store locator to see where you can find their products at a store near you. Thank you to Lemi Shine for sponsoring this post! I appreciate you supporting the brands that make my work at the HSS feed possible! I will definitely have to check there products out! Great post! These products look like something I need!! Our apartment is lacking in the cleaning product dept. and I love how they don’t smell all “chemically”! 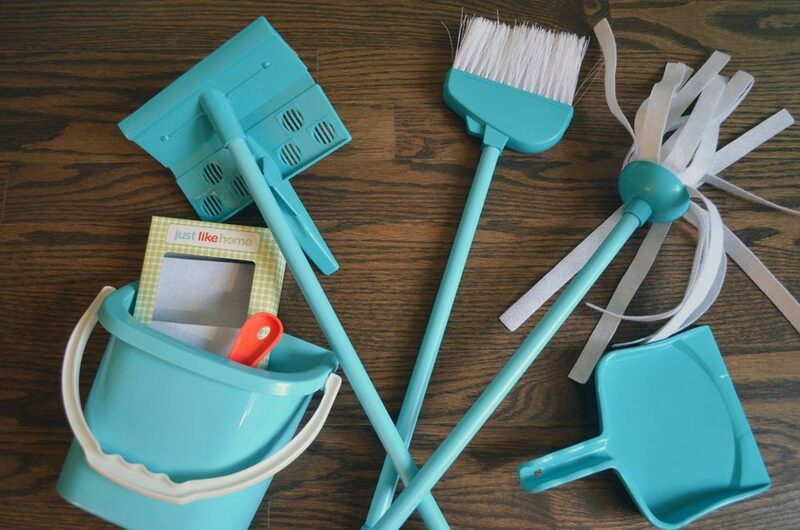 Also- those kid cleaning supplies = SO cute! These sounds like such good (and safe!) products. I’m always looking for products that don’t smell like chemicals with Leighton here now. ok i so need this product!! I love these pictures they are so cute! This product sounds really great! 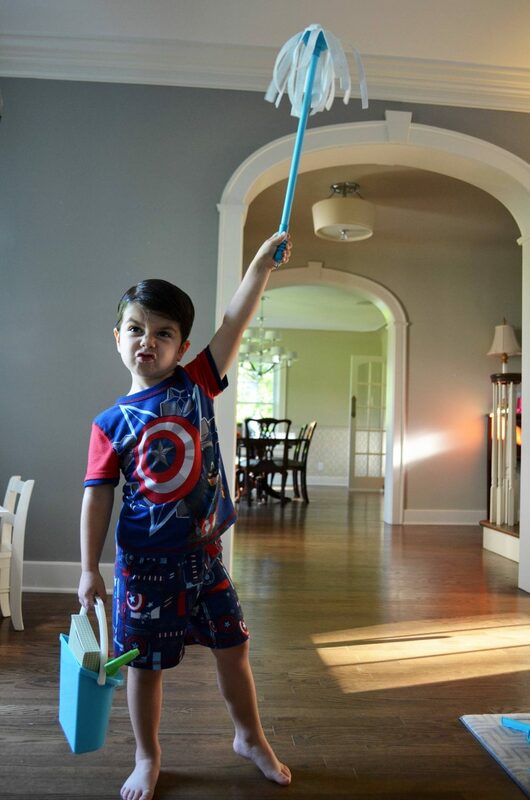 these products look awesome and what a good little helper you have! Aw you have such a great helper!